Criminal prosecution for fatal dog bite by Doberman to toddler in Michigan? Behavioral screening is absolutely necessary to ensure that a dog can be safely adopted. This code of conduct applies to whoever is trying to adopt a dog, whether it be a private party, rescue organization or an animal shelter. Moreover, this code of conduct applies particularly to potentially adoptable dogs of certain breeds from animal shelters with unknown behavioral histories. I call this to the attention the reader because it is likely that insufficient scrutiny was given to the behavioral characteristics of a Doberman pinscher that was adopted into a family in St. Joseph’s County, Michigan. This Doberman killed a four-year-old toddler within one hour after the dog arrived in the toddler’s home on October 24, 2016. This incident, the 25th dog bite fatality in the United States in 2016, reportedly happened as the toddler was feeding the dog a biscuit. A witness, the next-door neighbor, reported that Doberman suddenly turned on the toddler and inflicted a fatal dog bite to her neck. The toddler’s mother was nearby and tried to stop the attack, but the Doberman turned on her and inflicted injuries that required hospitalization. According to news reports, the dog was given to the family by the dog’s owner (reportedly a man from Illinois) to replace the family dog. As noted, what I find striking about this incident is that the dog had been in the home for less than one hour when the incident happened. Given how quickly the incident happened, I strongly suspect that the Doberman had issues with children. How can this fatal dog bite be explained? 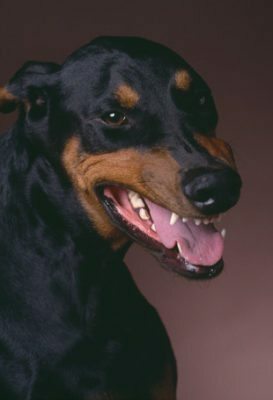 Most likely, accurate evaluation of this Doberman’s aggressive behavioral tendencies, particularly with regard to its potential aggressive activity towards children, was not done by either the mother, the dog’s owner or for that matter anyone else. It should have been incumbent upon both to have carefully evaluated the suitability of this Doberman for adoption, and particularly for adoption into a home of a four-year-old. A properly conducted behavioral examination may have raised a red flag.